Last year, the spike in cases of dengue was the highest in the last one decade, according to the data from National Vector Borne Disease Control Programme (NVBDCP) and National Health Profile 2018. From less than 60,000 cases in 2009, cases increased to 188,401 in 2017—more than a 300 per cent spike. 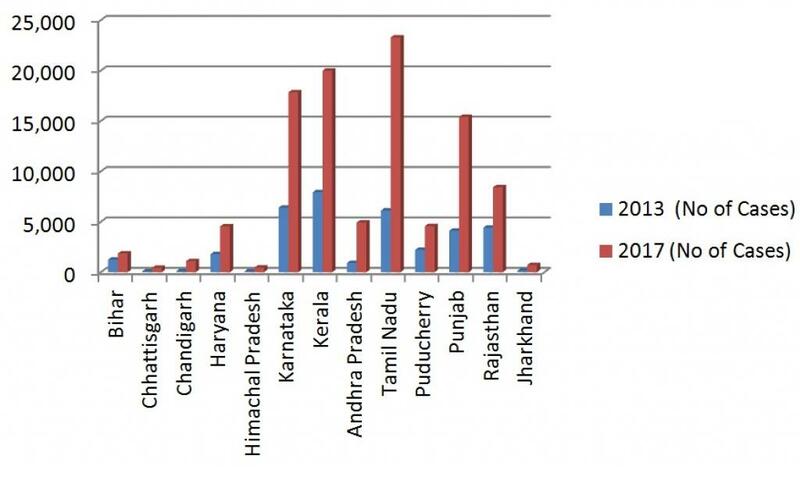 When compared to 75,808 cases in 2013, it is more than a 250 per cent spike. 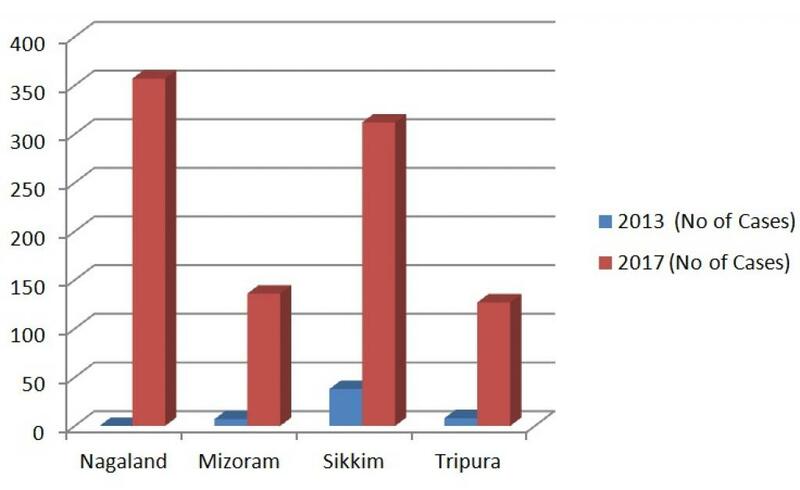 While northeastern states such as Sikkim, Nagaland, Mizoram and Tripura have seen the highest leap in terms of percentage, the southern states shared the maximum burden of numbers. For example, just four states had collectively recorded 66, 057 cases, which is close to 40 per cent of the total cases recorded in the country. Northeastern states such as Mizoram, Sikkim and Tripura saw between 1500 per cent and 1700 per cent rise in cases between 2013 and 2017. 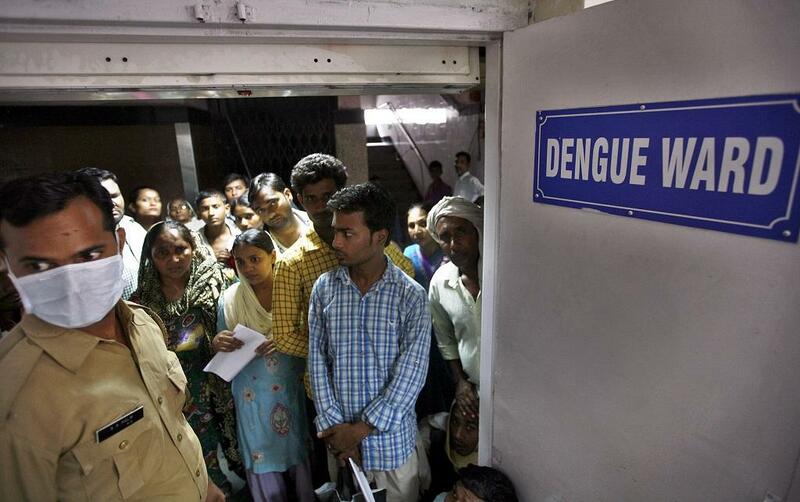 The national capital has also seen its dengue cases almost double up during this period. 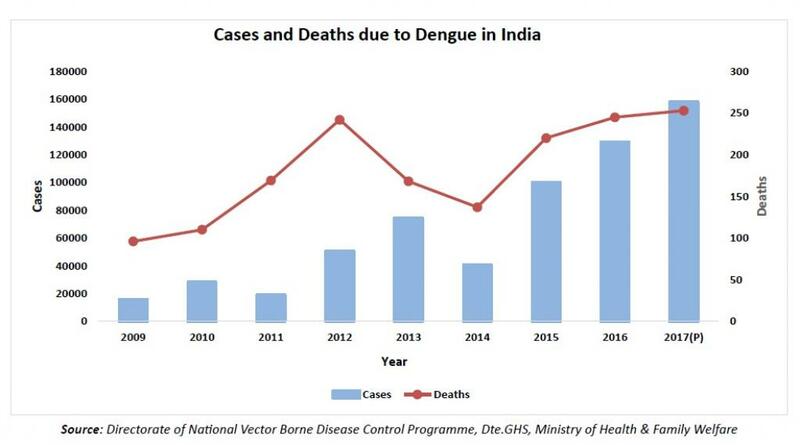 According to National Health Profile 2018, dengue outbreaks have continued since the 1950s but severity of disease has increased in the last two decades. Even this year, the situation has not been any less concerning. As of June 24, the country has already recorded 9,143 cases, with three monsoon months still to come. Dengue cases are on the rise in Kerala. Kasargod district, alone, has recorded 328 dengue cases till June 20.